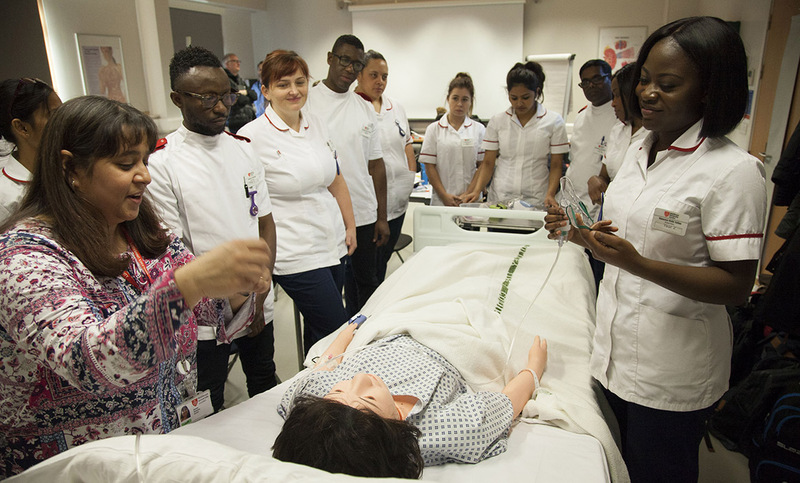 Middlesex University London has won a bid to develop degree apprenticeships that will help provide the qualified, skilled workers needed in the future to deliver essential public services in the capital. Working in partnership with a wide range of public sector employers, Middlesex will develop and launch degree apprenticeships for police officers, nurses, teachers and social workers - building on its strong reputation for providing London and the wider UK economy with graduates who deliver vital public services. The award of £250,000 is part of a total of £4.8 million being awarded by the Higher Education Funding Council for England (HEFCE) to universities and colleges across the country this autumn to develop new degree apprenticeships for students starting in September 2018. Katie Bell, Chief Commercial Officer, Middlesex University, is proud the University is making this commitment to training public sector employees. "When teachers, police officers, social workers and nurses all achieve professional status through degree apprenticeships, the perception of the role and purpose of apprenticeships will be transformed in the eyes of the public and business," she says. "We are delighted to be working alongside local public sector employers in London to make sure these apprenticeships achieve the desired impact – a qualified, professional and skilled public sector workforce that will benefit London and the country." Middlesex has extensive experience and expertise in working with employers to meet their needs through professional and work-based learning programmes, including apprenticeships. The University has recently worked with well-known organisations such as easyJet, Asda, Halifax Bank, WorldPay, Sony Mobile, SAP, Wipro, Toshiba Tech and BT. Along with this HEFCE award to develop public sector degree apprenticeships for police officers, nurses, teachers and social workers, Middlesex currently offers degree apprenticeships in Construction Management and the Chartered Manager Degree Apprenticeship and is set to launch a Business to Business (B2B) Sales Professional Degree Apprenticeship in November 2017. The University is also developing and planning a range of other degree apprenticeships for launch in 2018 including Digital Technology Solutions Professional; Academic Professional; Senior Leader; and Commercial Airline Pilot.